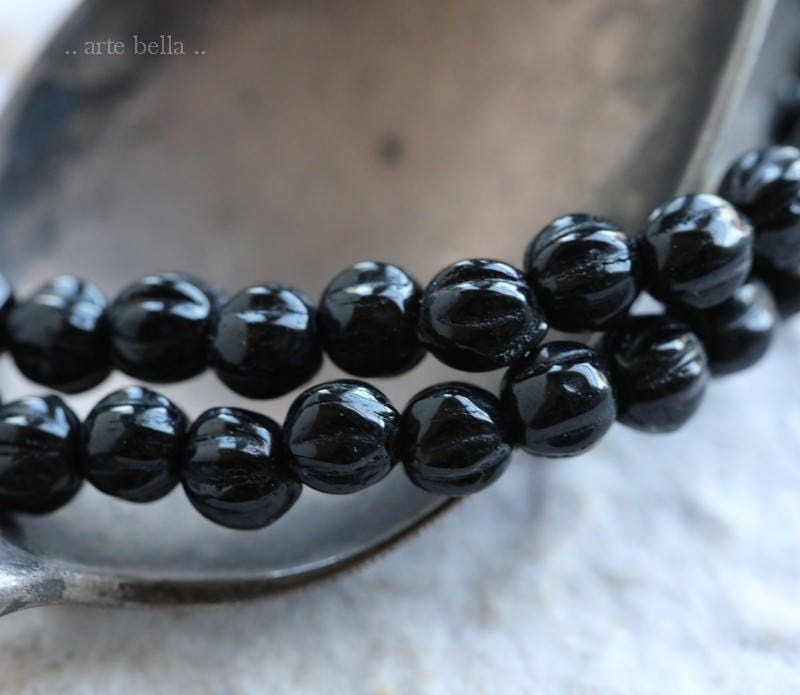 Cute tiny melon beads in jet black glass, fire polished finish. 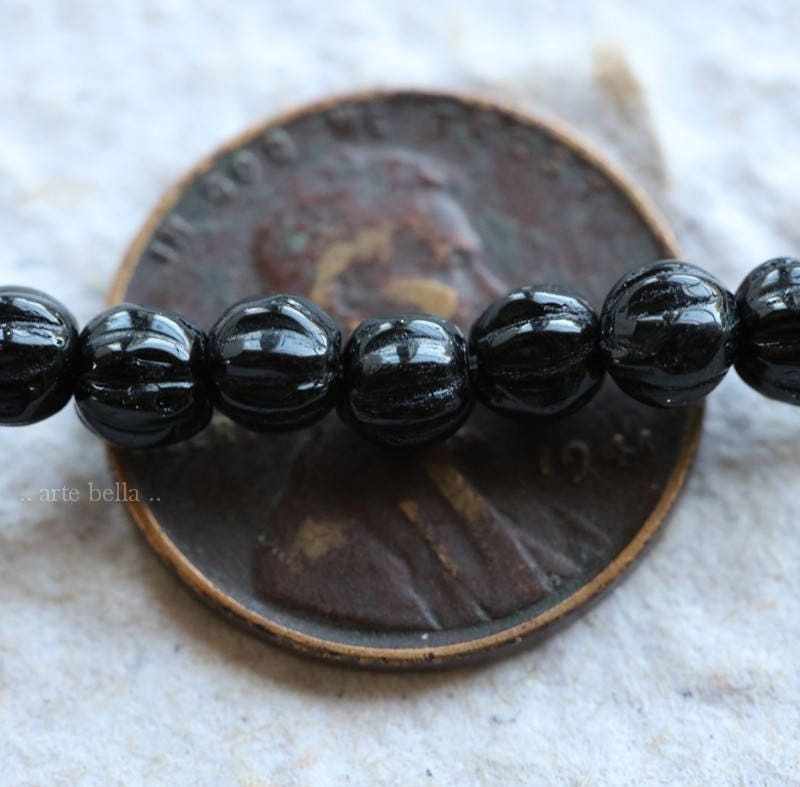 Perfect little bead to help showcase some more prominent beads. 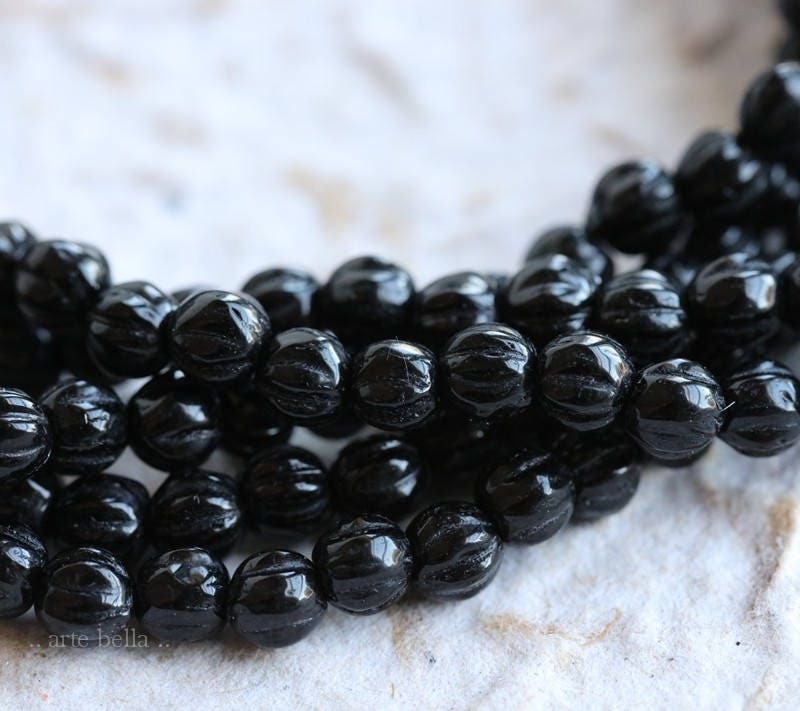 This bead is a must-have bead for any project. 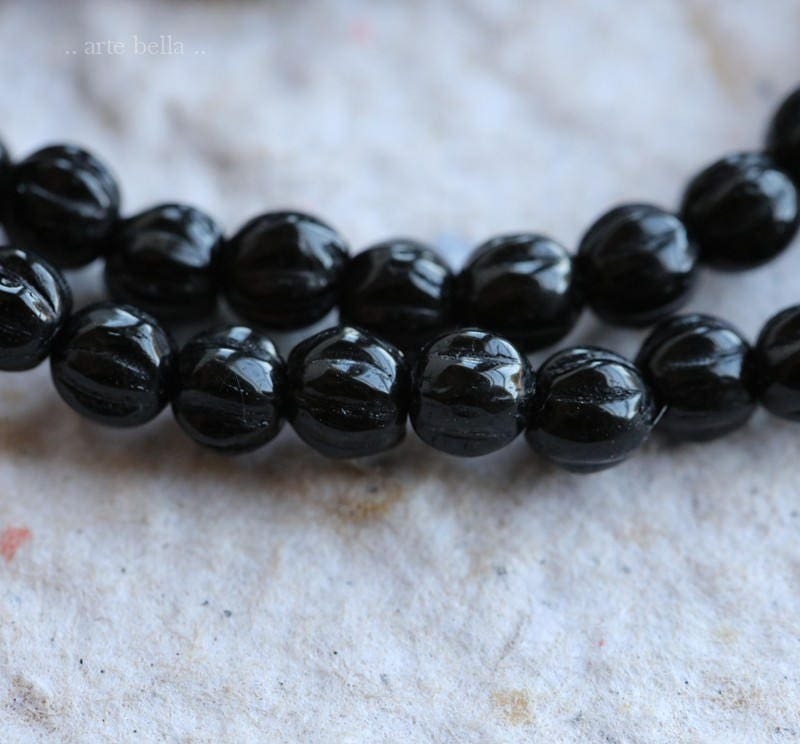 I wanted a few black ones for some of my seed bead mixes. 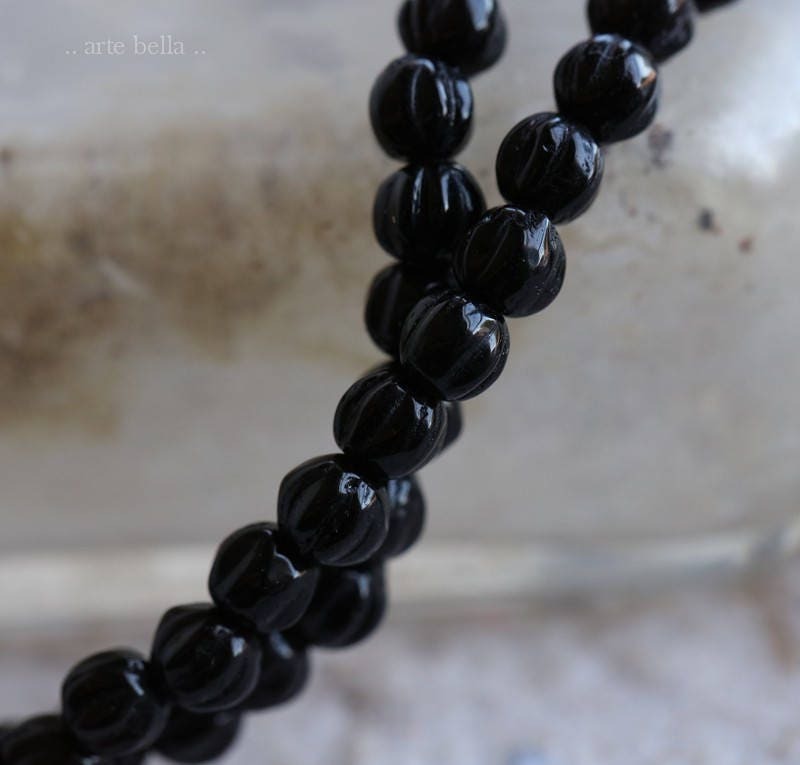 These melon-shaped beads add a little interest!